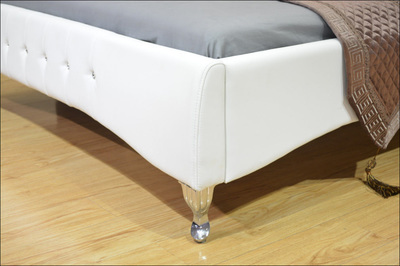 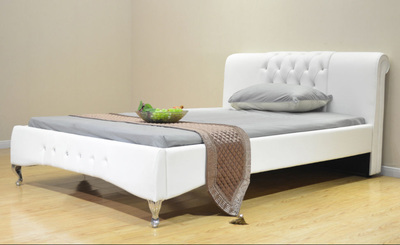 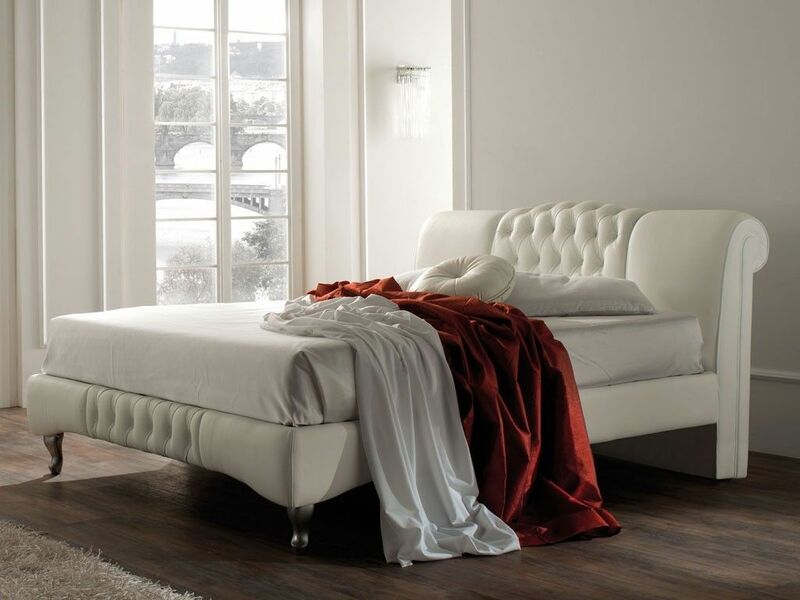 This beautiful regal designer 'Knightsbridge' bed frame by exclusive brand 'Hi 5' finished in magnificent white faux leather will enhance any bedroom. 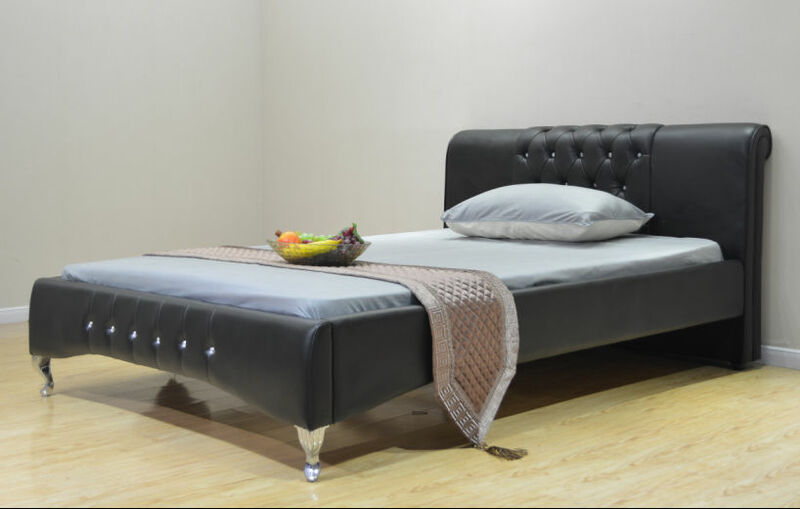 Stylish and sophisticated this is a stunning looking bed. 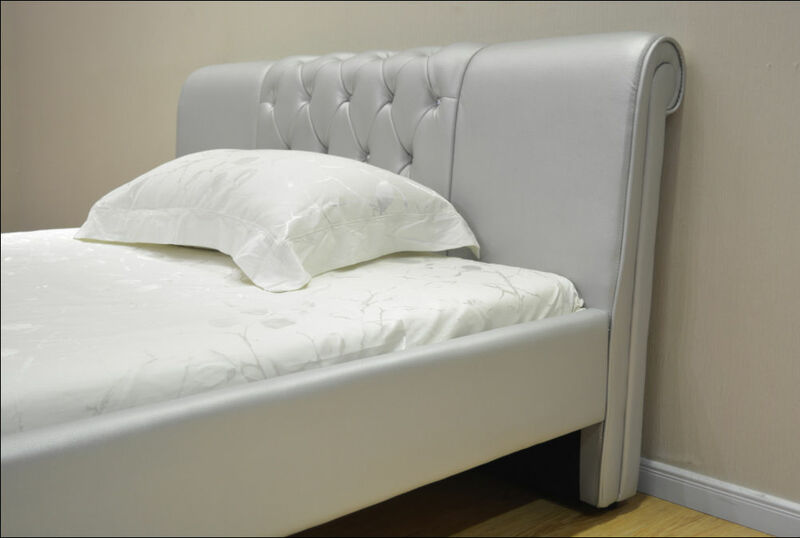 The Knightsbridge bed benefits from a sprung slatted base for ultimate comfort and to maintain your mattress in the best possible condition.